Some bands are irreparably damaged by change. Angra seems immune to that. In fact, through the years, line-up changes have only made the Brazilian quintet stronger. Losing their longtime guitarist Kiko Loureiro to Megadeth could have been disastrous, but their brand new album ‘Ømni‘ proves that Angra is still as inspired as ever. With influences from progressive metal, power metal and Brazilian music, the album is a masterclass in how versatile heavy metal guitar playing can be. 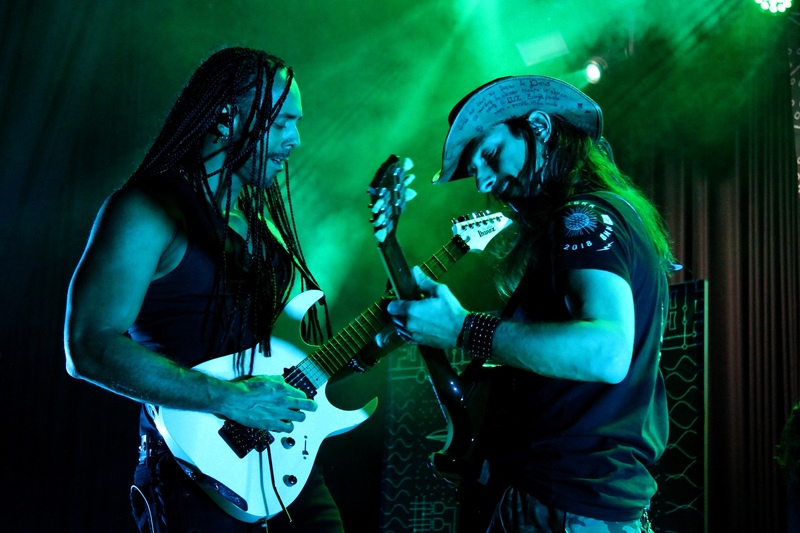 The two guitarists responsible for this, bandleader Rafael Bittencourt and newcomer Marcelo Barbosa, guide us through the creation of the album. “After Kiko left, I was a bit worried“, admits Bittencourt. “Kiko was not only an exceptional guitar player, but also my songwriting partner. I wanted someone to fill that spot. Because of that, everyone got involved with the songwriting. This album started from zero, with conversations of what the direction of the band should be. When we were touring with Tarja Turunen two years ago, we started jamming and exchanging ideas with small amps in the dressing room and backstage. At the time, we were touring for the anniversary of our ‘Holy Land’ album, which allowed us to do a lot of research on that album together. Marcelo lives two hours away from where I live by plane and Fabio (Lione, singer) lives in Europe, so I was meeting with Felipe (Andreoli, bassist) and Bruno (Valverde, drummer) more often, but whenever we could, we would get together out in the woods for a couple of days. Just resting, chatting and exchanging ideas. Marcelo was showing me new bands and artists that I hadn’t really listened to, like Alter Bridge and Jeff Buckley, so we kind of exchanged influences as well. All of this has made ‘Ømni’ a very collective work. “I was familiar with some of the writing that Marcello has done in the past, especially what he did with Almah“, continues Bittencourt. “So I knew we would get the whole package from him. I wanted Marcelo to be a part of the songwriting process, but I didn’t know how his input would sound in the overall result. We had some structures and parts for solos, but I would only know what he had in mind when he was actually recording it. During the recording sessions, I was getting more and more impressed with him. Every time he would record a solo, he would do something different. He used a whole variety of phrases and sounds. “For me, ‘Ømni’ represents a new era for the band“, explains Bittencourt. “Our third. This time, three of the guys are relatively new to the band, so they’re helping to create a new sound with new ideas. Bruno, for instance, is only 27 years old, the same age as the band. He is very excited to be in Angra, because here in Brazil, Angra represents pride, as we are one of the few Brazilian bands that are successful abroad. This excitement, combined with the experience that Felipe and I have in the band, brings a lot of fresh ideas to the table. What we wanted ‘Ømni’ to do is to combine these fresh ideas with the long history of Angra. We wanted to wrap up our history style-wise, so we brought a little bit of power metal, a little bit of melodic metal, symphonic metal, progressive metal, Afro-Brazilian stuff, orchestral stufff with percussion… Everything that we have ever done in a fresh, new sound. And I think we really succeeded. “I always write songs having the melody as a guideline“, Bittencourt shares. “Many times I start singing a melody, I add some rhythms to the melody and I won’t start adding the chords until the third stage. Therefore, singing is a natural thing for me. I like singing. Still, I think guitar players usually don’t sing as good as the lead singer, simply because of the position of the microphone. When you play, you want to watch the neck and you start worrying about what you’re doing. And worrying is never good, regardless of if you’re singing or playing. During the ‘Angels Cry’ anniversary, we had nothing to lose. Some people complained that we didn’t have Edu or André (Falaschi and Matos, former singers) with us, but when Fabio joined the band, we started researching new ways of interpreting our music. The audience knew that something different than what was previously done was coming up. That was a good moment for me to start singing, because everything would be new to the ears of the audience. “Marcelo is a guitar scientist“, admits Bittencourt. “He spends a lot of time on researching guitar sounds and learning different techniques, styles and phrases. He is a real perfectionist with every detail of playing guitar. I am a guitar lunatic. I’m much more intuitive. A part of the reason why I don’t spend the same amount of time on such things, is that I’m involved with every step of the production in Angra: the schedule, what we have for lunch when we are rehearsing and recording, hiring keyboard players, the orchestra and the percussionists. So when it comes to creating the guitar parts, my main resource is my intuition. However, I think this is very complementary. As a player, Marcelo is very intuitive as well. Angra is currently on tour. Listen to ‘Ømni’ on Spotify. My contributions to this month’s issue of Gitarist have been surprisingly metallic. Balance is delivered by other authors’ pieces this month. First off, I had an interview with Rafael Bittencourt and Marcelo from Angra about their fantastic new album ‘Ømni‘. We talked about more interesting stuff than the article allowed room for, so please stay tuned: everything else we talked about will be published about in English on this very weblog later this week. 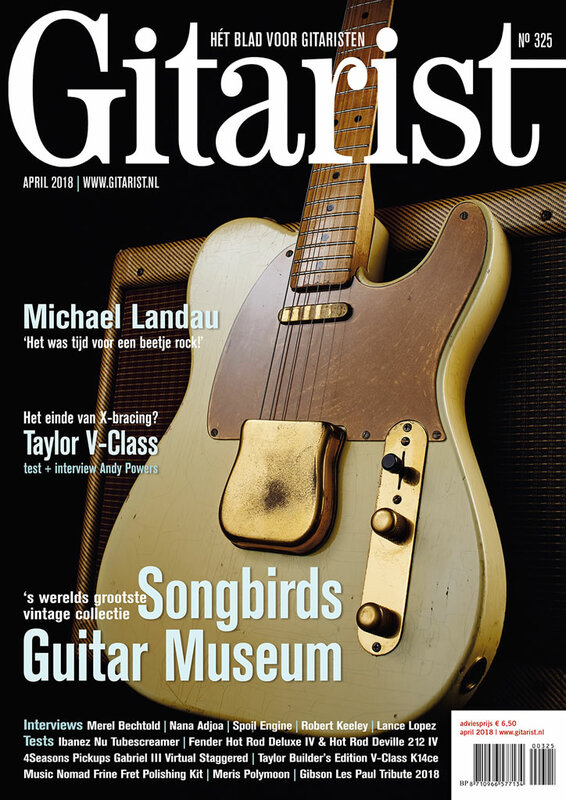 Furthermore, the interview I had with Spoil Engine guitarists Steven ‘Gaze’ Sanders and Bart Vandeportaele is published with two live photos I took in his month’s guitarist. And most relaxingly, I have taken the time to talk with Merel Bechtold, my friend of many years, about the recording of Purest Of Pain’s album ‘Solipsis’. Many years ago, we gigged together a couple of times, so it already seems like Purest Of Pain has been around forever, but due to her busy gigging schedule with Delain and Mayan, she finally found the time to finish the album. It sounds good; everyone who likes modern, Scandinavian style melodic death metal should certainly give the album a spin. You will not regret it. Moreover, Michael Landau talks with us about his thoroughly enjoyable new album ‘Rock Bottom’ and there are loads and loads of gear reviews and background articles. If guitars and guitarists interest you and you can read Dutch, I can’t advise you enough to check this thing out. It is in stores now. Change does not appear to affect Angra. They survived a massive schism around the turn of the century and now Dave Mustaine has hijacked longtime guitarist Kiko Loureiro for Megadeth, they still manage to put together another great album. Most of the current line-up already proved that the (largely) Brazilian band could still pump out great progressive power metal, as ‘Secret Garden’ was the best metal album of 2015. Now that ‘Secret Garden’ has put Angra back on the map, ‘Ømni’ shows the band stretching their boundaries a little. The results are slightly less memorable, but a very rewarding listen nonetheless. Much to my surprise, Loureiro’s replacement Marcelo Barbosa is an integral part of the album, having contributed significantly to the songwriting. 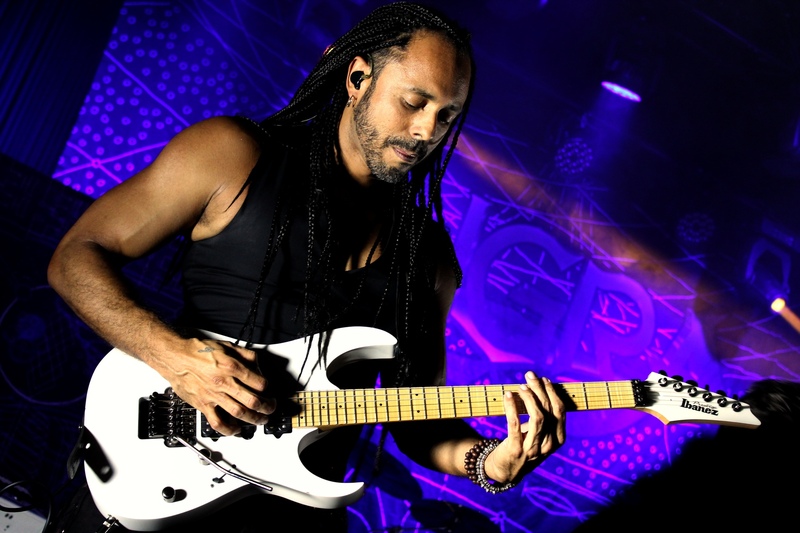 Sole founding member Rafael Bittencourt gratefully profits from the possibilities his guitar partnership with Barbosa provides as well. As a result, ‘Ømni’ ends up sounding less European-tinged power metal and more like a progressive metal album with very distinct world fusion overtones. Angra never shied away from putting their South American roots on display, but it seems like partnering with Barbosa gave Bittencourt the courage to dive deep into crossover opportunities, providing the basis of the most interesting moments of ‘Ømni’. That does not mean that there is no place for power metal on ‘Ømni’. In fact, the album starts out with two fairly traditional, euphoric power metal numbers, with ‘Travelers Of Time’ being the more contemporary take on the genre and ‘Light Of Transcendence’ the more old school one. Even these tracks sound fresh though, as Angra always had a way of rubbing up against clichés, but never fully engaging. On the metallic side of the album, ‘Magic Mirror’ is great, but ‘War Horns’ is the true winner. Darker and heavier than Angra usually sounds, it is an intense listening experience, on which Loureiro guests. Despite all this familiarity, ‘Ømni’ is best when it surprises. 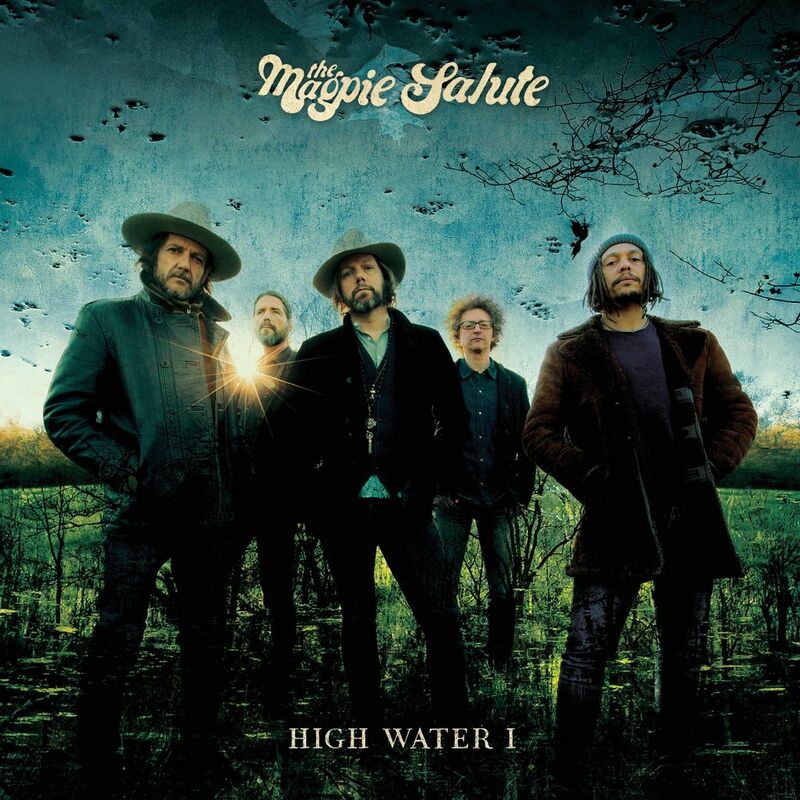 The semi-ballad ‘The Bottom Of My Soul’ has a very folky basis and some beautifully heartfelt vocals by Bittencourt, while ‘Caveman’ has some chants in Portuguese and Latin-flavored drums and percussion alternating with the stomping riff work and Fabio Lione’s mighty voice. The complete fusion of all styles can be heard in ‘Ømni – Silence Inside’, in which we can hear everything from subtle bossa nova touches to virtuosic progmetal without ever sounding disjointed. If anything, the song has a supreme build-up. ‘Black Widow’s Web’ may come across as messy, but is too enjoyable a dark progster to complain. ‘Insania’ contains some of Felipe Andreoli’s best bass work yet. All in all, ‘Ømni’ presents quite a unique mixture of styles which leaves you wondering why this combination is not attempted more often. 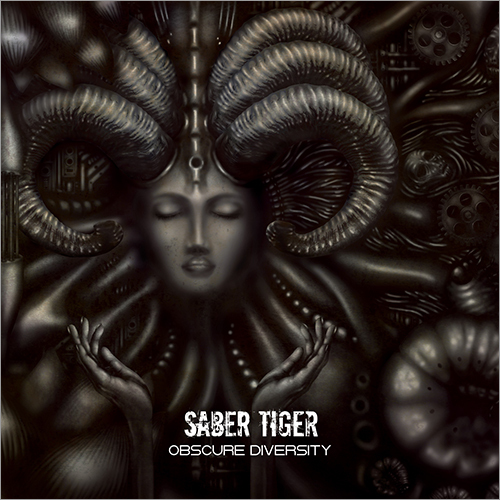 It is a great progressive metal album that may not be as easy to digest as ‘Secret Garden’ was, but will probably prove to be more durable throughout. ‘Ømni’ is one of those albums that slowly reveals its small secrets over repeated listens. In addition, it is the ultimate evidence that Angra still has its artistic merits more than two and a half decades into their career. Anyone who wishes to hear how versatile the guitar can be in a metal context should give ‘Ømni’ a spin. Halfway through 2015, I suddenly realized the new profit model of record labels is more in effect than ever. Not unlike last year, most of the releases I was looking forward to were either live records or re-releases, while less and less effort is put into giving promising young artists a chance. Of course, there’s still labels that offer opportunities for artists that are potentially less attractive commercially, but that’s more common in genres where independent labels get a little room to manoeuver; progressive Rock and Hip Hop come to mind. Trivial, but interesting enough to mention: with this album of the year, Asia and Australia are the only continents left to provide an album of the year, though Asia has had a DVD of the year. No one knew what to expect from Angra’s first record with Fabio Lione on vocals. I sure as hell didn’t expect anything this good. ‘Secret Garden’ is almost as good as ‘Rebirth’ and ‘Aurora Consurgens’ and the slightly more progressive sound has a pleasantly dark vibe. Also, the surprisingly large number of appearances by guitarist Rafael Bittencourt as a singer – an amazing one to boot! – makes the transition to a different frontman somewhat more fluent. New drummer Bruno Valverde is good enough to forget about his predecessors and I love his big, more natural drum sound. Every fan of both Power- and progressive Metal should own ‘Secret Garden’, it’s very well worth your time. Talk about an amazing comeback… Shortly after Thunder called it quits with ‘Bang!’, they were already gigging again. That wasn’t the first time in their career, so a new album was only a matter of time. But that it’s their best since ‘Behind Closed Doors’ was a very pleasant surprise. All the Thunder elements are firmly in place here: Bluesy Hardrock riffs, beefy drums, big and catchy choruses, strong melodies and Danny Bowes’ vocals are still as clean and powerful as they were on ‘Backstreet Symphony’. Luke Morley is one of the best songwriters in Rock history and ‘Wonder Days’ is another chapter in his Great British Songbook. Also, ‘The Thing I Want’ is probably my favorite song of the year. 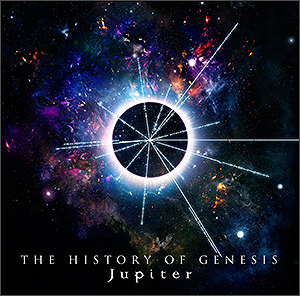 Although Jupiter’s second record isn’t as consistent as its brilliant debut ‘Classical Element’, which totally reawakened my love for symphonic Power Metal, it is once again a thoroughly enjoyable record. 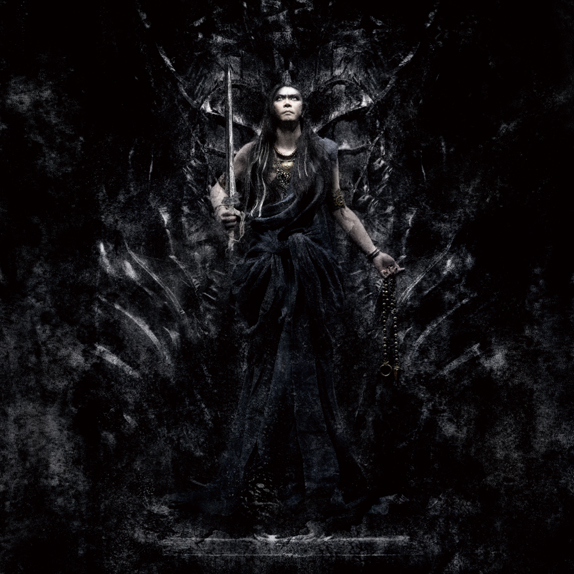 It does show the band branching out a little more by incorporating more aggressive elements – ‘Darkness’ is technically Melodeath – and Zin streches his voice a little more, but the J-Rock aspect is a little stronger on a few songs as well. Hizaki and Teru deliver some delicious guitar work both in the riff and the solo department. Versailles, the former band of every band member except Zin, recently booked a reunion gig and I hope that will be a one-off thing, because Jupiter is a better band. Much better. 4. Steven Wilson – Hand. Cannot. Erase. Today’s progressive Rock hero is without any doubt the Brit Steven Wilson and there’s a good reason for that: he’s one of the few contemporary progressive musicians who writes great songs. Having said that, I wasn’t too fond of his solo work, until recently, when he started combining his obvious early Genesis influences with a pop sensibility that Genesis themselves didn’t discover until they weren’t all that Prog anymore. Also, Wilson has gathered a fantastic bunch of musicians around him, with guitarist Guthrie Govan and drummer Marco Minnemann especially shining here. ‘Hand. Cannot. Erase.’ is a brilliant progressive Rock record that “regular” Rock fans with more patience than average should at least give a chance. Hip Hop seems to be the only genre in popular music that shows any progress these last years. 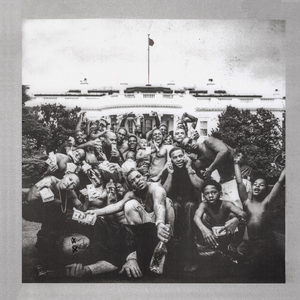 Even with that in mind, Kendrick Lamar is a revelation. Conceptually, Lamar is miles ahead of anyone in any genre, including people much older than his 28 years. ‘To Pimp A Butterfly’ takes all the rebellion of old school Hip Hop and elevates it to an art form with a background of Jazz and Funk with extensive spoken word sections. The results offer a great deal of variation and although I prefer Lamar at his most angry and militant, his clever observations and productional choices are worthwhile throughout the record. This is a logical progression from what Prince and D’Angelo do, just with a smarter, broader world view than either of them. Sometimes losing a legendary frontman is a blessing. Case in point: Queensrÿche. Geoff Tate was recently replaced by Todd LaTorre, who captures the classic Tate vibe better than the man himself does these days. 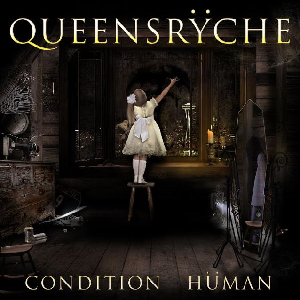 Musically as well, ‘Condition Hüman’ is the best Queensrÿche record since the criminally underrated ‘Promised Land’. 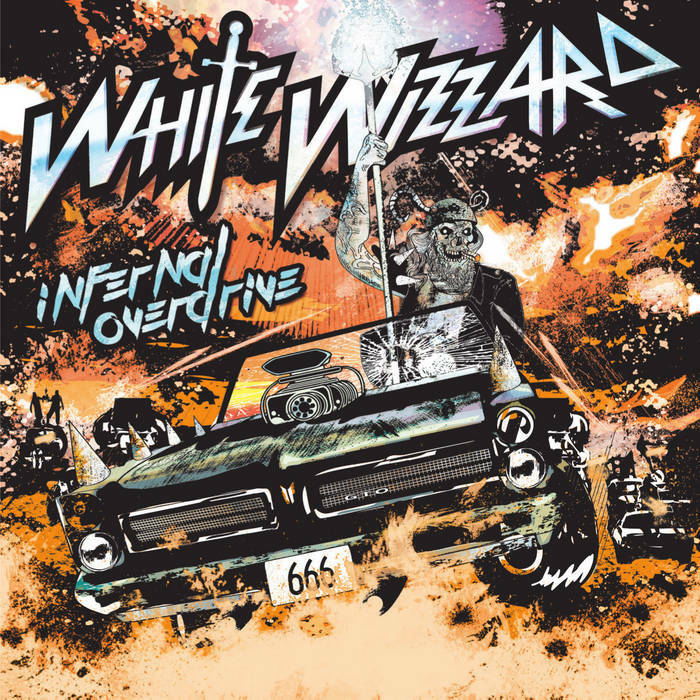 Michael Wilton injects a lot of traditional Heavy Metal into the band’s sound again and the combination of that and contemporary progressive Rock makes the album sound like the most old school record the band has made since the legendary ‘Operation: Mindcrime’. It’s not quite as good, but it’s much, much closer than you’d expect it to be at this point in their career. Two years ago, I praised ‘No More Hell To Pay’ for toning Stryper’s christian message down a little. 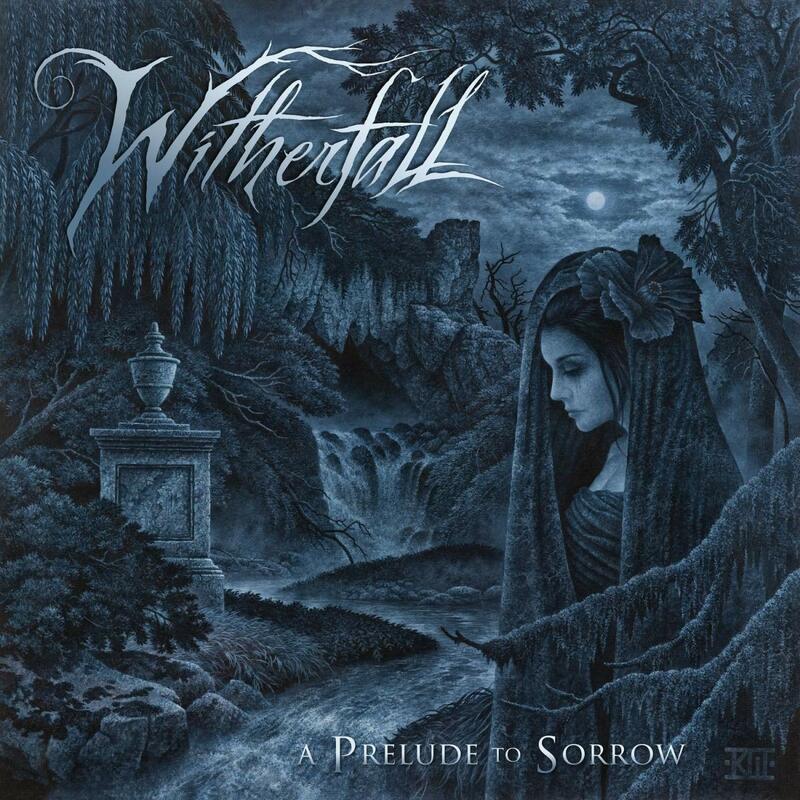 ‘Fallen’ is less subtle in that matter, but it is the better album of the two. In fact, I might like this even more than the band’s classic material from the eighties, because there’s just a little more variation at play here and the ballad isn’t quite as syrupy as…let’s say ‘Honestly’. There’s simply not much to not like on this album: the guitars are everywhere, Michael Sweet’s voice is still one of the best in the business and it’s got the best production job on a Stryper album yet. There’s nothing as good as the perfect melodic Rocker ‘Sympathy’ here, but that doesn’t make this record any less of a triumph in Rock and Metal songwriting. 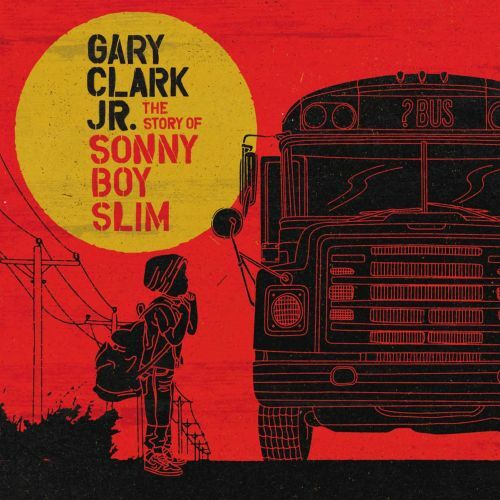 Often portrayed as a Blues musician, Gary Clark Jr. rather combines all his influences into a rich, contemporary blend of Blues, Rock and especially large amounts of R&B. Where I considered predecessor ‘Blak And Blu’ a messy, incoherent affair with – admittedly – some great guitar work, ‘The Story Of Sonny Boy Slim’ is a more consistent effort. In fact, it’s an excellent R&B record with Clark playing most of the instruments, including a lot of fiery, passionate lead guitar work. While I must admit that I prefer his chest voice to his frequently appearing head voice, I grew rapidly and unexpectedly fond of this album and I think it should be heard by anyone who appreciates the likes of Lenny Kravitz, D’Angelo and Prince. Let’s focus on the negative first: ‘The Book Of Souls’ should have been two songs shorter, so that it could fit on one disc. Having said that, this is a surprisingly fresh and energetic latter day Iron Maiden record. ‘If Eternity Should Fail’ is the band’s best opening track since ‘Moonchild’, Bruce Dickinson’s voice is better than it should be in his late fifties and ironically, the 18-minute ‘Empire Of The Clouds’ sounds nowhere near as overlong and bloated as some of the other recent “epics”. 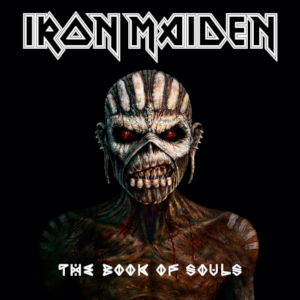 The presence of Dickinson and guitarist Adrian Smith is felt stronger than before and that is part of what makes ‘The Book Of Souls’ a pleasant surprise. If this turns out to be the band’s last record, it would end their career on a relatively high note. Prog wizard Arjen Lucassen and Holland’s finest singer Anneke van Giersbergen had worked together before, but this full collaboration still caught me by surprise. It’s a very Dutch project too, given the maritime theme of the lyrics. 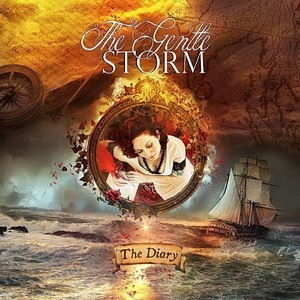 The album offers the same songs twice: one disc of folky, largely acoustic versions (‘Gentle’) and one disc of full blown symphonic Progmetal interpretations of the songs (‘Storm’). I have to admit that I generally play the ‘Storm’ disc, not in the last place due to the supreme orchestration. Van Giersbergen is amazing – as per usual – and though there are plenty of Lucassen-isms in the compositions, it does sound different enough from his other projects to warrant a different name. 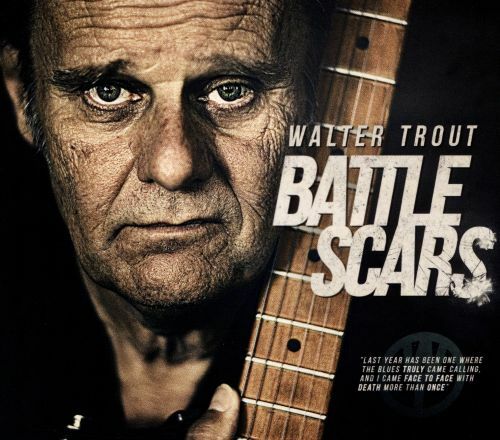 If the cliché that suffering brings forth great Blues music is true, ‘Battle Scars’ is the epitome of that statement. Two years ago, Walter Trout was nearly dead, only barely saved by a liver transplant and now, he has channeled all of this misery into his best album yet. It’s not just that his suffering has brought forth great, passionate Blues, it’s that his songwriting is better than it ever was. So is his voice, by the way. ‘Battle Scars’ is a musical diary of a man who has looked death in the eye on a daily basis, but delivered so joyously, that it hardly ever gets too dark. Also, there’s a nice variation of electric Blues, Rock, ballads and an excellent Country Blues finale. This album belongs in any Blues and Bluesrock collection. Norway’s Leprous was already one of the more interesting progressive Metal bands these days with 2011’s manic ‘Bilateral’ album, but the more spacious sound on ‘The Congregation’ really puts them into a league of their own. I really can’t think of any other band that quite sounds like their unique and bizarre mixture of twisted, jazzy chords, Electro-influenced synths and Einar Solberg’s hyper-theatrical vocals. ‘The Congregation’ definitely transcends the Metal tag, making way for something that is at times more unsettling than what the average Norwegian Black Metal band does, but it’s truly beautiful. 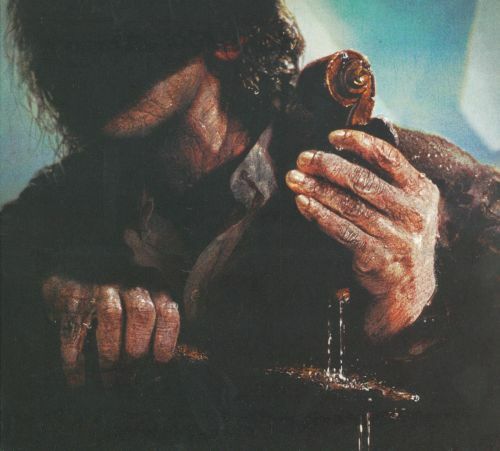 Also, I somehow really, really like Jens Bogren’s production job for this record. Initially, I approached ‘Pylon’ with caution, because its predecessor ‘MMXII’ was a bit of a letdown. I shouldn’t have: ‘Pylon’ is a fantastic album that offers everything one could be looking for in a Killing Joke record. The major improvement in Geordie Walker’s guitar sound is part of the great first impression, but the song material is really strong as well. Once again, the song that is something of a departure is my favorite (‘European Super State’ on ‘Absolute Dissent’, ‘Euphoria’ this time around), but almost all the songs show Killing Joke what they do best: gradually building upon a simple riff and slowly turning up the rhythmic intensity. ‘Pylon’ is a bleak effort, but that’s exactly how Killing Joke should sound. Essentially Anacrusis’ fifth studio, because Kenn Nardi was definitely planning to use this material for the band. It sounds a lot like the band’s progressive Metal sound with Thrash Metal and New Wave flourishes, although Nardi’s typical voice has some influence on that as well. He’s not technically a great singer in the sense that he doesn’t have a wide range, but he is able to wring so much emotion out of it, that it’s an absorbing listen. And with 28 good songs, Nardi could have easily spread this out over two, maybe even three albums, but somehow the sequencing and flow makes a lot of sense here. Obligated for anyone who likes Anacrusis, but also for anyone who agrees with me that Thrash Metal is getting a little rusty lately. Allegedly, ‘Under The Force Of Courage’ is Galneryus’ first concept album. It does explain the large doses of theatricality, but I’m not complaining about that at all. It does take Galneryus back to the sound of ‘Angel Of Salvation’, though it falls short of that amazing record. Ironically, the tracks that sound least like that album – the darker sounding ‘Rain Of Tears’ and especially ‘Reward For Betrayal’ – are among the better moments of the album. 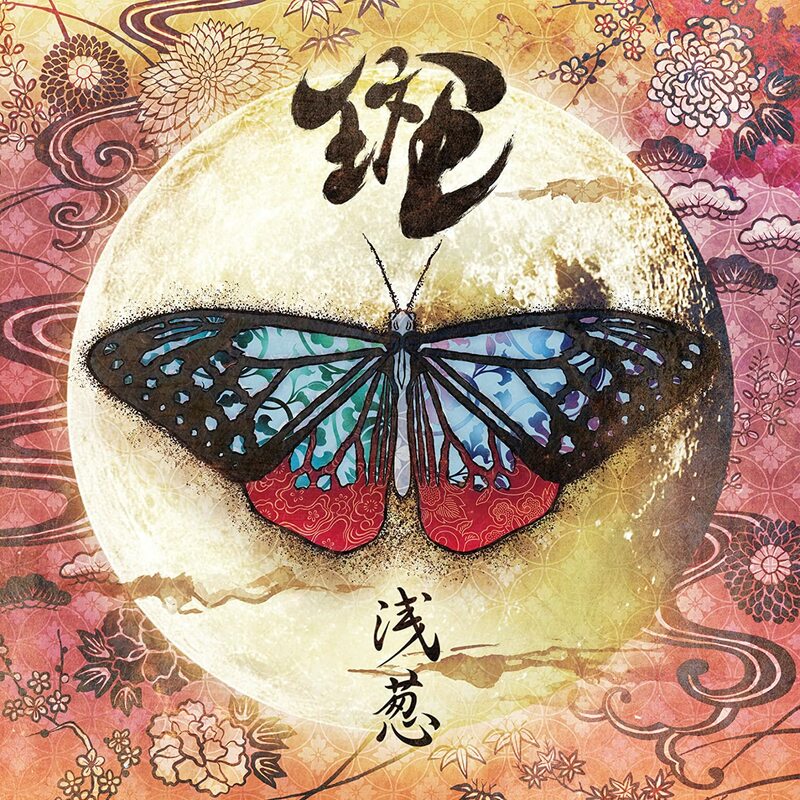 As for the rest, it’s anything a Galneryus fan can wish for: high tempos, blazing solos by both Syu (guitars) and Yuhki (keyboards), passionate vocals by Masatoshi Ono and highly catchy choruses. 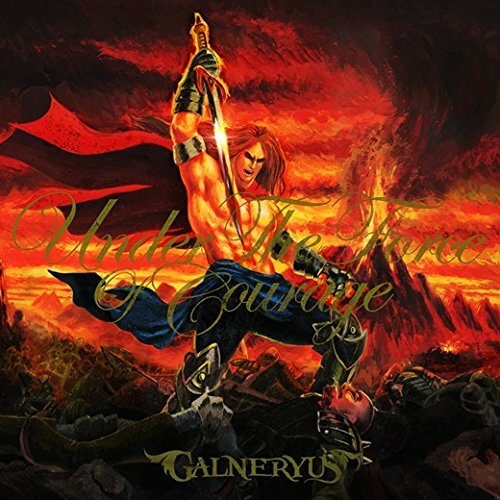 Better than most European Power Metal, slightly above average for Galneryus. Seriously, I would have loved this band so much if it wasn’t for Grutle Kjellson’s guttural rasp. 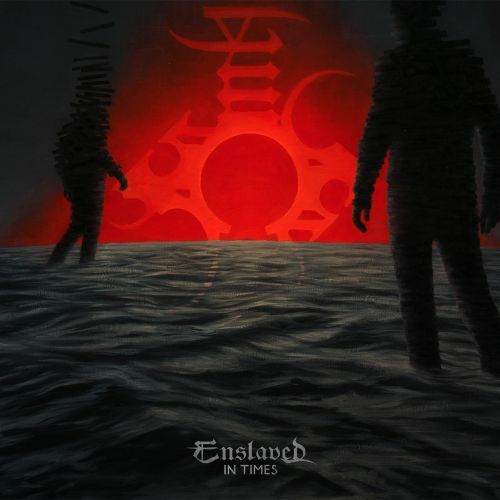 Enslaved have taken their Black Metal roots and mixed them up with an increasing amount of progressive Rock influences since the beginning of this century, which luckily also means that the absolutely beautiful clean voice of keyboard player Herbrand Larsen gets a bigger role with each album. 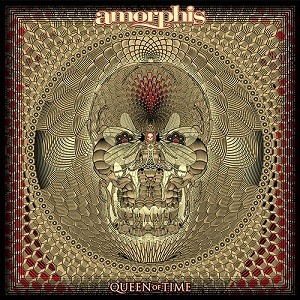 ‘In Times’ contains six songs with a combined running time of 53 minutes and shows the band at their most free and adventurous. This leads to occasional pleasantly surprising musical choices and interestingly constructed songs. Hell, in ‘Building With Fire’, even Kjellson’s growl sounds good. Also, I just realized that both Norwegian bands in this list don’t sound like anyone else. Ever since Dew-Scented became more Dutch than German, things have been looking better for them. In fact, the band now has three amazing songwriters who all contribute something different to the band: guitarist Marvin Vriesde contributes the more in-your-face material, his fellow axeman Rory Hansen brings some modern Death Metal influences to the table and bassist Joost van der Graaf’s takes care of an amazingly dark atmosphere. It all still sounds like Dew-Scented though and Jensen’s trademark Thrash bark isn’t the only factor in that. ‘Intermination’ just shows the band stretching the boundaries of what is possible within the Dew-Scented framework. And the result is a more than admirable job. More than a decade after ‘Meta-Funk’n Physical’, there’s finally a new Mother’s Finest album. And it rocks quite hard! 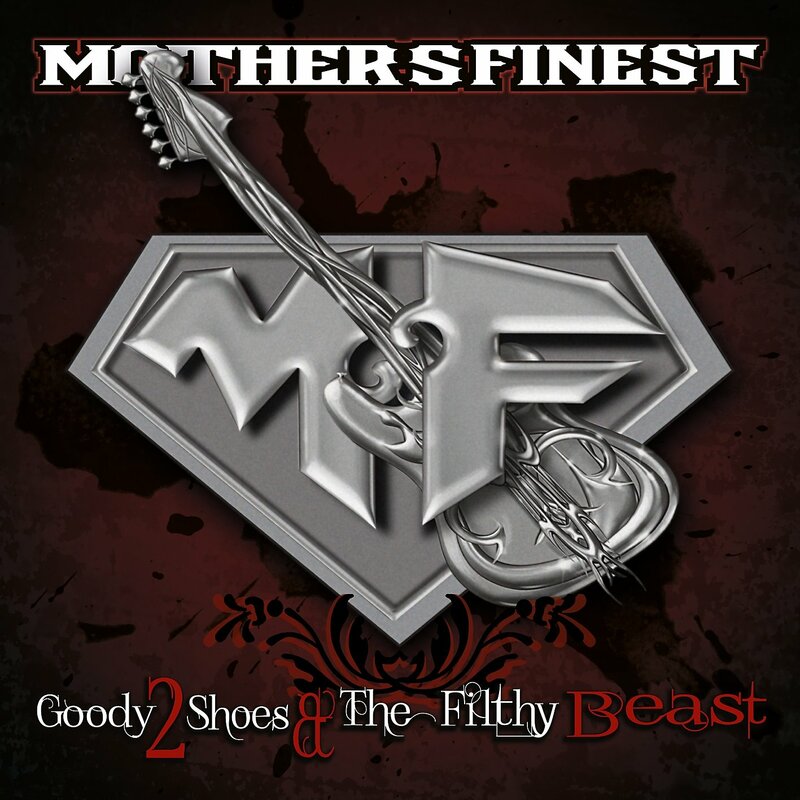 Some of the modern production techniques equipped on its predecessor have remained, but ‘Goody 2 Shoes & The Filthy Beasts’ is heavier and more energetic than you’d expect from a band made up largely of members in their late sixties. It’s always been all about the guitars and the grooves for Mother’s Finest and it’s no different here. In a couple of Funky Hard Rock tracks, the band proves why they’re still relevant and I’m surprised how much power Joyce Kennedy still has in her voice. And they still blow everyone off the stage. Another album like their inimitable debut is off the table, but this is as close as it gets. Sometimes I get something new on my desk for the review section in Gitarist and it completely blows me away. That’s what Mojo Man’s self titled debut did. First of all: how is it possible to resist a band that has “Balls & Horns” as its motto? That means they’re playing nice beefy Bluesrock riffs with the proper brass backing to give it a soulful edge. And if that wasn’t all, the catchy songs are very well written and Theo van Niel Jr. lays down some fantastic lead guitar work. Imagine The Rolling Stones around ‘Exile On Main Street’, Aerosmith in the late seventies and early The Black Crowes and you’ll get close to the sound on the album, although Mojo Man has a slightly more traditional Blues approach. If that’s your thing, you shouldn’t miss out on this. As far as reunions go, ‘Sol Invictus’ is just fine. Faith No More once again are their quirky, obstinate selves. Which means that this album contains traces of Pop, Rock, Metal, Funk, Western, faux-Jazz and even Hip Hop. The songs are generally really good, much better even than on their 1997 effort ‘Album Of The Year’, which was recorded with the same lineup. The songs just don’t flow quite as well as they should have, especially during the first half of the album. It’s a risk of Faith No More’s genre-hopping approach. By themselves, most of the songs are awesome though. And while voice artist Mike Patton doesn’t quite reach as high as in the past, his lows are ominous and sometimes downright scary. For a country that has such passionate Power Metal fans, it’s remarkable that Brazil doesn’t have more bands of the caliber of Angra. Then again, not many bands in the genre worldwide are as good as Angra is. They have all the melodic qualities of European Power Metal bands, combined with the interesting songwriting of many Progmetal bands and something uniquely Brazilian – more on that later. Though ‘Aurora Consurgens’ might be my favorite due to the inclusion of some favorite songs, ‘Rebirth’ is every bit as good and probably the best representation of all aspects of Angra’s sound. ‘Rebirth’, as a title, shouldn’t be taken lightly. After original singer André Matos left the band, taking the rhythm section with him, many fans were afraid of Angra’s future. Matos’ replacement Edu Falaschi is a revelation though: his voice is much more powerful than the somewhat feminine tone of Matos and adds a little grit to the mix. 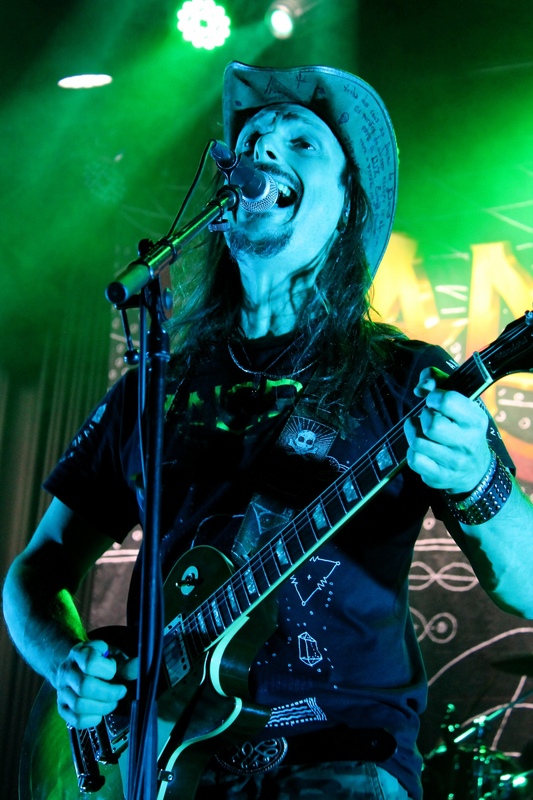 Also, guitarists Rafael Bittencourt and Kiko Loureiro took care of most of the songwriting and that’s probably why the Angra sound is still very much intact, while openings to other musical opportunities are all around, especially in the progressive tinges that seem to be Bittencourt’s doing. Opening track ‘Nova Era’ is like a second coming of the band’s classic track ‘Carry On’: an uptempo and upbeat Power Metal track with positive lyrics to set the mood for the record. That doesn’t mean the whole album is filled with happy-go-lucky tunes. In fact, a lot of the songs have a darker tone or at least alternate between brooding sections and more hopeful segments, like ‘Millennium Sun’ and ‘Acid Rain’ do. The latter even has distinct Brazilian percussion in its awesome middle section, something that is expanded on ‘Unholy Wars’, which has an intro akin to Brazil’s beloved MPB and moves between a pulsating verse and middle section and a very positive chorus. Many Power Metal are on the receiving end of quite some ridicule because of their ballads, but it has to be said: Angra is really good at them. ‘Heroes Of Sand’ is a pretty standard power ballad, though executed well enough to be quite enjoyable, but the album’s title track builds amazingly well from a pure power ballad to a strong progressive Metal section and back, while ‘Millennium Sun’ also qualifies due to its somber segment for piano and vocals in the beginning. Falaschi’s slightly raw edge contributes greatly to the quality of those songs as well. 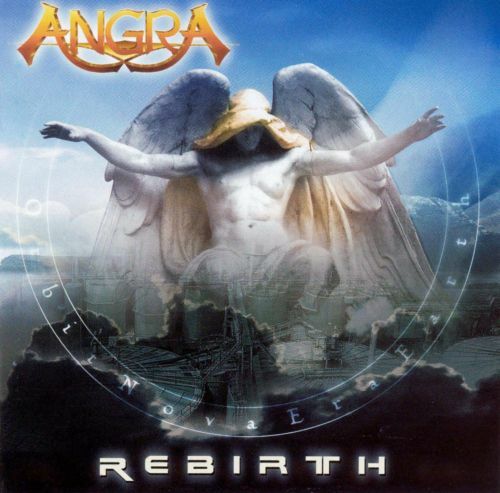 Even though this could be said for most Angra albums, ‘Rebirth’ really deserves to be in any serious Power Metal collection. ‘Angels Cry’ is generally considered their classic album, but since I prefer Bittencourt’s songwriting to Matos’, I have to vote for this one. Also, while the neoclassical elements are still there, the increased progressive sound also means that ‘Rebirth’ is slightly less predictable. Regardless, if you like expertly written and quite likely even better played Power Metal, this is the way to go. 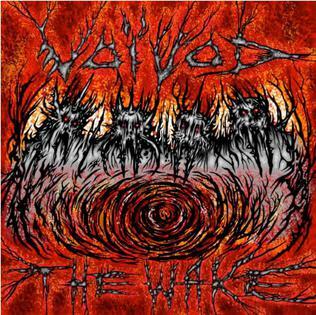 Many European bands could listen to this album in envy.